Now that I'm on holiday I can finally do all the things I've missed! I baked my first apple pie two days ago and I'm glad to say it was a crowd-pleaser, alhamdulillah. I followed a very simple recipe which is perfect when you have apples lying around the kitchen and you don't know what to do with them. The lattice work pie crust is tricky and I haven't mastered it as you can see. This video really helped though. mashAllah, ill make sure to tell my mother to make it. I miss baking so much! We will have to have a few baking sessions when I'm back! 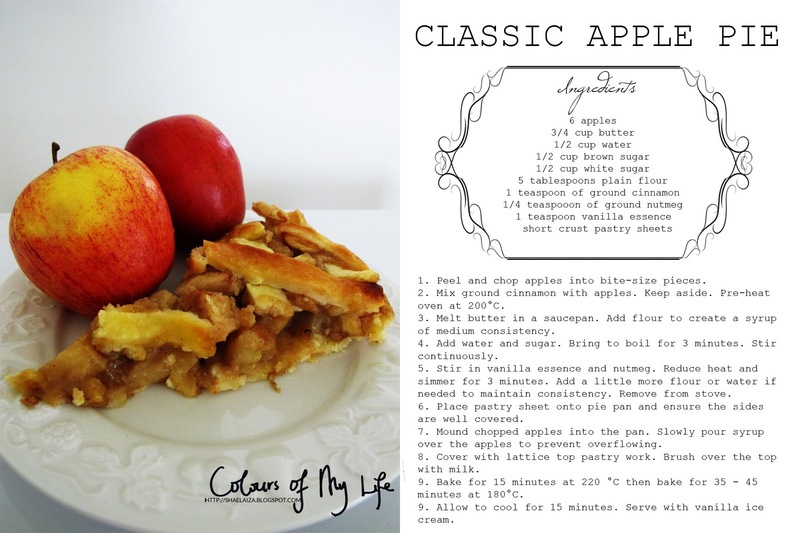 oh yum i love apple pie!